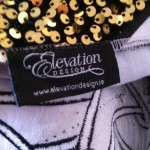 Championship Elevation Design dress. Immaculate condition only 1 year old. 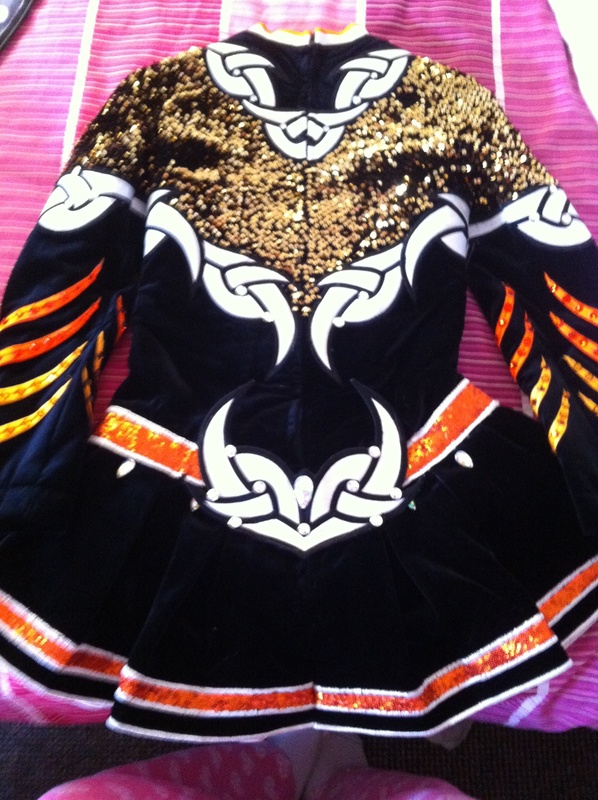 Worn by 11year old under 12 dancer. Would suit 11-13 year old. 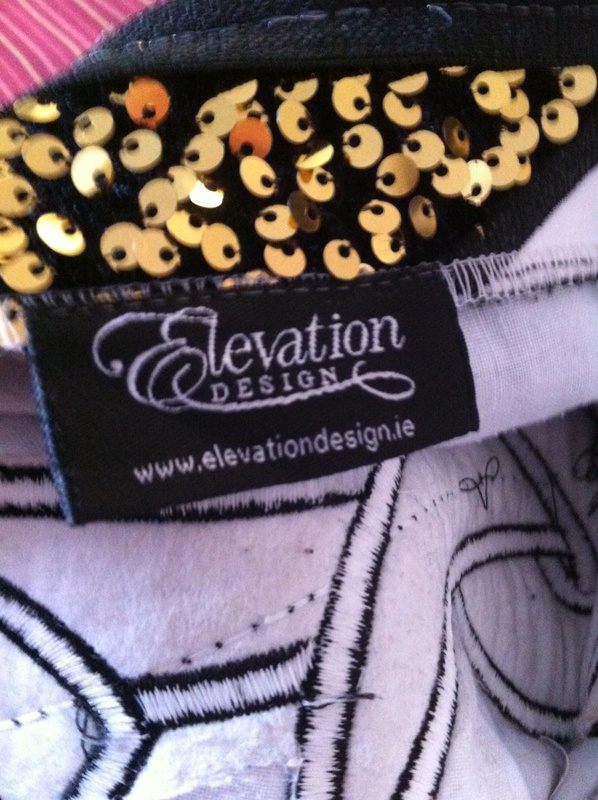 Made of rich black velvet with crystals and gold sequins. 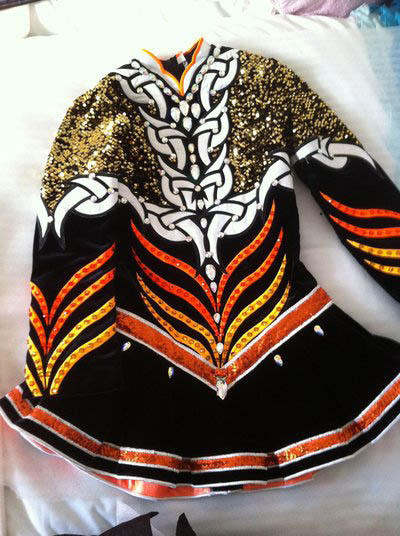 White satin Celtic design with orange and gold embroidery. 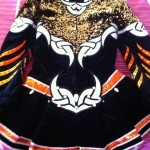 Dress has orange underskirt and matching kick pants. Never altered. Plenty of let out (3″) and let down (2″) room. Asking Price: €900. Shipping costs are included for my own country, overseas shipping is extra. Sale is final.